Jean-Ariel Bronstein is a fine art landscape photographer living on the island of Tahiti, French Polynesia. Like many that grew up on Tahiti, Jean-Ariel spent much of his time around the ocean enjoying the year round tropical weather. From a young age he developed a great appreciation for nature and the beauty of the Tahitian Islands. Jean-Ariel's photographic journey documents that deep appreciation of Mother Nature. 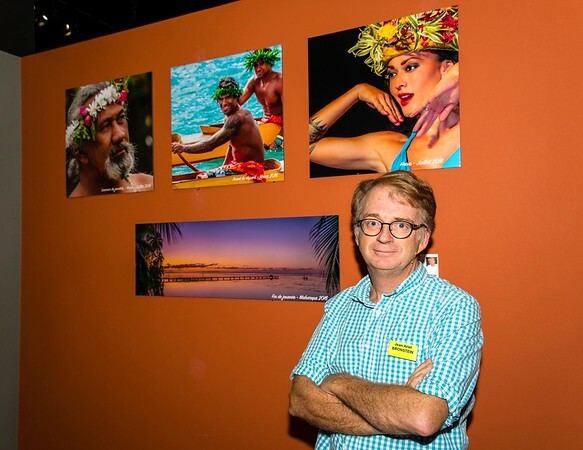 Jean-Ariel’s work as a landscape photographer has taken him across the Tahitian Islands; from capturing the sunset in Papeete, Tahiti to photographing the seascape on the Marquesian islands. Since getting his hands on his first digital camera, Jean-Ariel has immersed himself into the art of landscape photography. Over the years Jean-Ariel has been able to develop a photographic style and process he can call his own. Jean-Ariel’s goal as a photographer is to capture the magnificence of the French Polynesia Islands as he sees it, and to share that with as many as possible. He continues to live and photograph on Tahit, and travels frequently to the neighboring islandsn and abroad to do work. Jean-Ariel prides himself on providing his customers with pieces of art that are only of the highest quality. He has worked equally hard in finding reliable printing partners that share in his desire to provide only the highest quality prints. You can be assured that the products offered by Jean-Ariel Photography have been carefully selected and will be of exceptional quality.